Research shows that only 25 percent of managers believe their companies are good at both strategy and innovation. It’s no wonder then, that poor strategy is the #1 cause of bankruptcy. Too often, strategy and innovation are approached separately. Innovation is the continual hunt for new value; strategy is ensuring we configure resources in the best way possible to develop and deliver that value. By becoming an elite strategic thinker, a leader is better prepared to fuse strategy and innovation into competitive advantage. Fusing together insights to create an innovative business model. Creating a system of strategy to achieve competitive advantage. 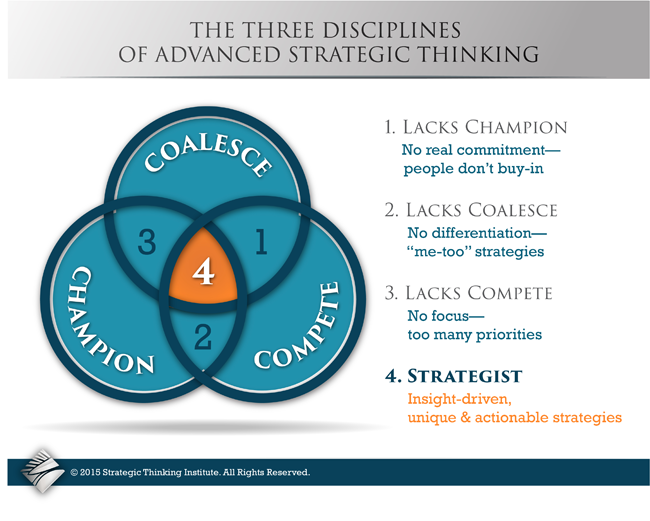 Leading others to think and act strategically to execute strategy. 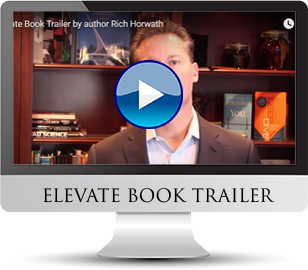 Using this framework as a guide, Horwath provides leaders with dozens of practical tools to help them get their teams out of the tactical weeds of the business and design strategies to provide superior value to customers. Leaders will learn how to connect all of the key elements of their business, including core competencies, capabilities, value proposition, value chain, business model and strategies, and channel them into a strategic action plan. 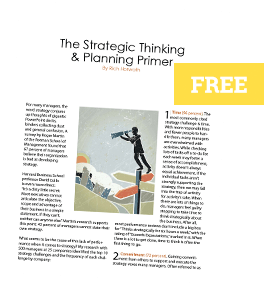 The result is a roadmap for transforming strategy from an annual two-day pilgrimage into a daily strategic mindset that leads to profitable growth for the business. 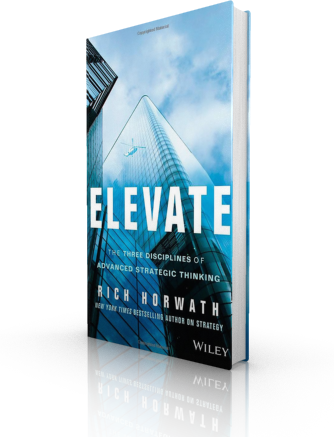 Preview Rich Horwath’s new book on the secret to fusing strategy and innovation into competitive advantage.